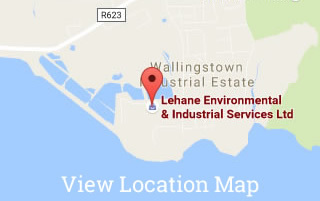 Lehane Environmental can supply UN Bunded 4,000ltr Offshore Chemical Tanks. These UN storage tanks are available for both long term and short term rentals. The storage tanks are designed, manufactured and fully certified to DNV 2.7-1 / EN 12079 standards. They have a fully enclosed bund with 110% capacity of the inner vessel. 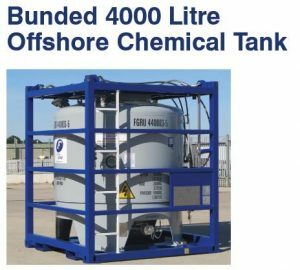 The UN Portable tank is approved under IMDG/ADR/RID Regulations. The storage tanks are 4,000ltr capacity, 4 bar working pressure and have a remote vent valve and level gauge. The inner vessel material is 316L stainless steel. The storage tanks are rated for use to -40° and have a top spillage tray c/w cover and drain tube.